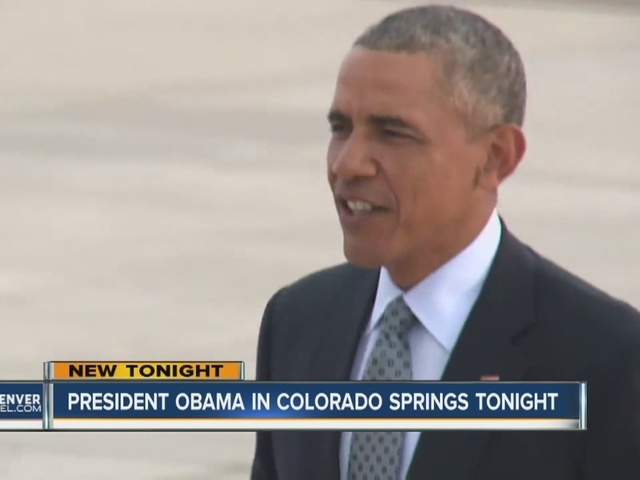 Air Force One delivered President Barack Obama to Peterson Air Force Base on Wednesday night, the day before the president is scheduled to address the graduating class at the Air Force Academy. The president’s jet touched down at 7:12 p.m. Wednesday, according to the White House. Obama was greeted by Gen. John Hyten, commander of Air Force Space Command; Lt. Gen. Daniel Hokanson, deputy director of U.S. Northern Command; and Col. Douglass Schiess, commander of the 21st Space Wing. The president shook hands with those gathered there and held a baby, according to the release, before leaving in a motorcade. The graduation ceremony, at Falcon Stadium on the academy grounds, is scheduled to begin at 9:30 a.m. Thursday. Anyone attending must have a ticket. Read more from our partners at The Denver Post . Denver7 will be live streaming the event starting at 9:30 a.m. on the Denver7 app as well as TheDenverChannel.com.